I’ve added a new category to this blog, which has organically and exponentially grown, to Local Loves. I’m from a small hometown and the emphasis on local, organic and sustainable was part of my family (yes, even in the 80’s) far before it was trendy. That said, I love supporting the Colorado food scene (and even beyond) with small, artisan and growing food-related products. 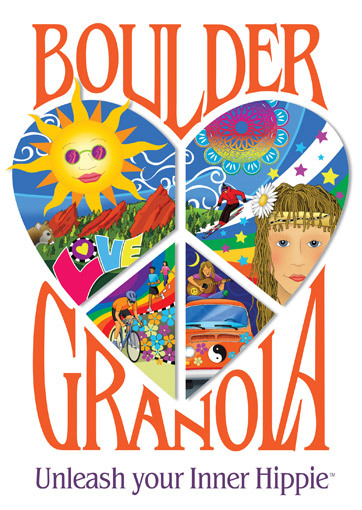 My first official post (although I’ve been doing this informally for a while) is a big shout out to Boulder Granola. Boulder Granola is a Mother (Jody) and Son (Julian) team, which I love. Their granola is gluten-free and organic. Julian told me know that they’re the only granola that is 100% organic (even their gluten-free flavors). They use certified organic gluten-free oats which also includes protein, fiber, vitamins, minerals and antioxidants. 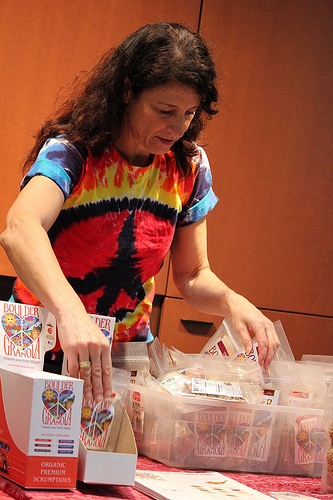 The ingredients for Boulder Granola are purchased locally and always within a 100-mile radius. They bake in small batches and all in Boulder. I personally love Boulder Granola and the small packs to bring with me to work for extra energy and/or in yogurt and fruit! Jody’s mother had been serving her homemade granola since 1969 to her family, children, neighbors and friends for years. After realizing and embracing the beautiful, entrepreneurial nature of Boulder (and unleashing her inner hippie) Jody received the recipe from her mother. Shall we say, the rest is history? Currently, they offer Original, Cranberry and Chocolate Granola (in 3 and 12 ounce bags). Gluten-free is available in original. I love fruit, so my favorite is the cranberry. organic rolled oats, organic canola oil, organic Vermont maple syrup, organic golden flax seeds, organic sesame seeds, organic sunflower seeds, organic non-fat dry milk, organic oat bran, organic cranberries, organic sugar, organic sunflower oil, organic coconut, organic pecans and organic almonds. Lucky for you dear reader, no matter where you are, you can buy this delicious, hearty granola online. In Colorado, you can find their locations in groceries and stores here. Be on the lookout for their groovy-heart logo with lots of sunshine and good lovins. I’m happy to offer two 12 ounce bags of Boulder Granola to two lucky winners. I have Cranberryand Gluten-Free Original. You can enter two times! Like Boulder Granola on Facebook here and then, leave a comment here saying you’ve Liked them and your favorite way to eat granola. Like Grace(full) Plate on Facebook here and leave a comment saying you’ve Liked us and your favorite way to eat granola. Be sure to leave your e-mail address with each comment you leave (comments are mandatory and show me you have entered). I will pick two winners in one week on June 9th. I will ship anywhere in the US (not International). UPDATE WINNERS: Congratulations to Nelly Rodriguez of Cooking With Books for winning the Boulder Granola giveaway! This Boulder Granola is going to the Dominican! The second winner goes to Alison Reder of Bionic Geek a Boulderite. Thanks everyone for entering. Like Grace(full) Plate on FB: done. Granola in yogurt is a recent addition to my diet (I otherwise skip breakfast). Bought my first bag of Boulder Granola on a recent trip to the Longmont Farmers’ Market – definitely the best granola I’ve ever had (cranberry). I already like Grace(full) Plate and Boulder Granola on FB and in real life 😉 I had a bowl of Noosa Honey yogurt topped with the Boulder Granola cranberry this morning – Love it! 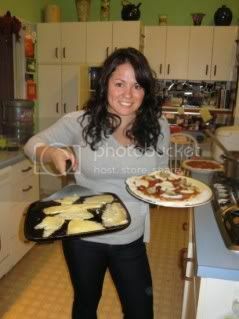 Thanks for posting about one of the Pizzeria Locale event supporters! You can also find Boulder Granola at the Wednesday evening Farmer’s Market. I Like Grace(full) Plate on Facebook! Just found your blogs Grace! I like Grace(full) Plate on FB. Hi Grace! We’d like to reprint your article in the Boulder Farmers’ Markets e- Newsletter, with credit and a link to your blog. The newsletter goes out to 4000 people, with around 1200 active weekly readers…..I’ve linked to you from the BCFM facebook page in the meantime! <3'd on Facebook. 🙂 I love love love the chocolate granola! But I prefer the cranberry when I do this: I slice up an apple, smear a bit of cinnamon peanut butter, then dip into the cranberry granola. Fantastic afternoon snack that keeps me rolling through the day. Also delicious for breakfast! 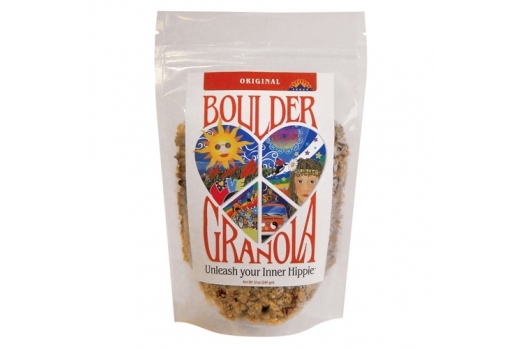 I Like Boulder Granola on Facebook – i eat granola in my yogurt!